GitHub - trackmastersteve/alienfx: AlienFX is a CLI and GUI utility to control the lighting effects of your Alienware computer. AlienFX is a CLI and GUI utility to control the lighting effects of your Alienware computer. Want to be notified of new releases in trackmastersteve/alienfx? AlienFX is a Linux utility to control the lighting effects of your Alienware computer. At present there is a CLI version (alienfx) and a gtk GUI version (alienfx-gtk). And has been tested on Debian/Ubuntu/Kali/Mint 19, Fedora and Arch Linux. Note that the second invocation is required to ensure that icon files etc. are properly installed. 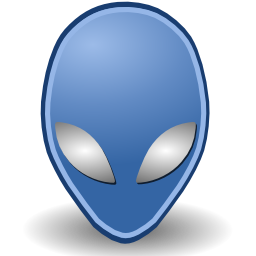 The installation includes a udev rules file that allows AlienFX to access the AlienFX USB controller on your computer without needing root permissions. If you run the install commands without sudo, then the udev rules file will not be installed. Lighting configurations are stored in "theme files", which are simple json files stored in $XDG_CONFIG_HOME/alienfx. If XDG_CONFIG_HOME is not set, then ~/.config/alienfx is used. Both the CLI and GUI programs use these theme files, and the GUI program allows you to create new themes as well. See the man page of alienfx $ man alienfx for the cli options supported. Please read CONTRIBUTING.md for further details. This is free software; you can redistribute it and/or modify it under the terms of the GNU General Public License as published by the Free Software Foundation. This programm is distributed in the hope that it will be useful, but WITHOUT ANY WARRANTY; without even the implied warranty of MERCHANTABILITY or FITNESS FOR A PARTICULAR PURPOSE. See the GNU GPL for more detail.